When Jeff Sullivan of Fangraphs asked baseball fans how they felt about their team’s front office, the Yankees and Brian Cashman ranked at the neutral position of 15th. This data isn’t exactly shocking, given New York’s reputation of being perpetually dissatisfied with their teams, but considering the Yankees’ run of success, Cashman probably deserved a higher grade. Certainly, Cashman comes up short is some areas—most of his long term contracts have turned sour, and prospect development has been unsuccessful until recently—but his biggest strength outweighs his weaknesses. Cashman, by all accounts, strikes trades at an elite level. His ability to swing favorable deals is probably the Yankees’ best bet to remain in contention for years. Just talking about Cashman’s past doesn’t do it justice, though, so let’s look at just how spotless his significant trades have been since 2012. What a way to start. Enough ink has been spilled on this trade, so I won’t t go overly in-depth on it. This one has been as lopsided as they come, which says a lot given that Michael Pineda has been a relative disappointment thus far. Jesus Montero moved out from behind catcher, and the ‘bat that will play anywhere’ only seems to truly play at Triple-A. There’s still hope for the 26-year old, but the chances of him becoming a major-league regular are slim. Noesi, 29, is the owner of a career 5.30 ERA, and that’s all that needs to be said about him. Once a pitcher with top-of-the-rotation upside, Jose Campos is just hoping to make the big leagues. It’s not all his fault, as a rash of injuries have crushed his value, but as is the case with Montero it’s tough to predict big league success for him. Luckily, Michael Pineda saves this deal. Pineda, who recently turned 27, had a rough start with the Yankees. 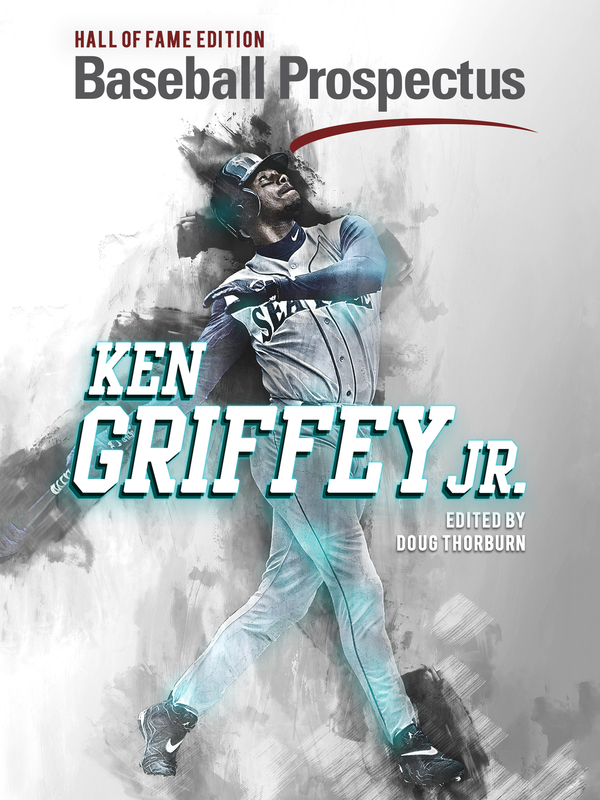 Despite a successful rookie year for the Mariners in 2011, it took him until 2014 to get back to the big leagues due to injuries. With those ailments behind him, Pineda has looked like a No. 3 or No. 4 starter with a ceiling near the top of the rotation. Last year’s 4.37 ERA was a disappointment, but his 3.34 FIP and flashes of elite stuff give the Yankees hope for a big 2016. At the very least, he’s a young and controllable starter with big upside that many teams would love to have—and the Yankees got him for two players that have combined for -2.0 WAR. Ah, the start of the Yankees vast trade history with the Pirates. On paper, this one looks pretty ugly, but the context of the deal needs to be understood. This trade was made to get rid of $13M of Burnett’s remaining $33M left on his contract. The fact that this deal got done alone is impressive, given that nobody wanted the pricey player who had a 4.79 ERA and 1.45 WHIP in New York. That said, this trade is one of Cashman’s weaker ones; Cayones and Moreno haven’t really panned out while Burnett flourished in Pittsburgh. That being said, the Yankees didn’t need to have the two prospects turn into contributors to be satisfied with the deal. Neither were ever looked at as legitimate prospects, and for the most part nothing has changed. Moreno’s actually done well in the Yankees’ system considering his past, and last year’s 2.18 ERA at Triple-A in the bullpen last year suggests that the 28-year old Moreno could see some innings in the Yankees ‘pen next year. This isn’t a trade to be proud of, but it’s also not one that the Cashman and the Yankees lost out on. It’s not worth spending much time on this one, given the uninspiring results on both sides. Ichiro did about what the Yankees expected, and they were able to squeeze a year and a half of below average starter/great fourth outfielder production out of him. Mitchell hasn’t reached the big leagues since, and Farquhar’s had one very good season and two terrible ones. At this time last year, it may have looked like the Yankees blew it given Farquhar’s 2.66 ERA in 2014. But his 2015 ERA of 5.12 makes the Yankees’ rental of the then 38-year old Ichiro look solid. In the grand scheme of things, this trade wasn’t anything special. But, most Yankees fans will remember it because of four games in August where Alfonso Soriano went on one of the greatest hot streaks ever. He became the first player in baseball history with 12 hits and 18 RBIs in four games and those four games justified giving up Corey Black, who had the looks of a solid pitching prospect. Black is now a reliever and although he can miss bats, it doesn’t seem that he’ll be a player the Yankees will miss. Soriano provided a huge boost for the Yankees down the stretch, and while a dreadful -1.4 WAR in 2014 may have erased some of that initial impact, the move was still a great one for New York. In one of Brian Cashman’s most shrewd moves in recent years, the Yankees were able to ship off a player who was pitching in the independent leagues a couple seasons prior to his acquisition for McCarthy, who was arguably the Yankees’ best pitcher down the stretch. Things didn’t work out according to plan in the long run — the Yankees missed the playoffs and McCarthy didn’t re-sign — but, turning Nuno (likely a long reliever) into 90.1 innings of a 2.89 ERA from Brandon McCarthy was a brilliant move by Brian Cashman. This is one of the few trades that I’m not a fan of. A fan favorite, Solarte has surprisingly been productive as a member of the Padres. He was worth 2.2 WAR in 2015, exactly twice as much as Chase Headley was. In addition, Solarte is just 28, under team control through 2020, and dirt cheap until 2017. De Paula was, at one time, a promising pitching prospect. But his 5.01 ERA in 2015 (mostly out of the bullpen) means that the Yankees probably aren’t lamenting over his departure. Still, this didn’t work out for the Yankees the way many expected. While Headley was very solid for the remainder of 2014 and re-signed with the team, he drastically under-performed last season and it’s hard to imagine a full recovery. On the other end of the spectrum, Solarte surprised many with his performance and a repeat in 2016 isn’t all that unlikely. This trade could still turn in the Yankees’ favor, but it’s probably the weakest of Girardi’s in years. Yankee fans were initially up in arms about this trade, as shiny new toys that can play catcher and hit baseballs far are coveted in New York. Alas, O’Brien’s gone the way of Jesus. Like Montero, he has seen his strikeouts pile up and he’s now left without a position. The 25-year who combined for 71 home runs in 213 games over the past two seasons isn’t much of a prospect anymore due to his lack of position. O’Brien’s big power could still have a place on a big-league roster, but he probably isn’t a starter. The return for the Yankees, Martin Prado, only spent 37 games with the team. Still, he accrued an impressive 2.1 WAR and hit .316 while in the Bronx. An appendectomy and subsequent trade sent him to Miami, but his return, Nathan Eovaldi, is just as important as Prado’s short 2014 campaign with the Yankees. Once again, it appears that Cashman has won handily, and maybe one day teams will learn not to acquire fringe-catching prospects from the Yankees. The next installment of the Yankees-Pirates trade saga was one of Cashman’s few poor moves. The trade is understandable, given the Yankees’ lack of space for Cervelli and their organizational depth at catcher. Still, Cervelli had a great year in Pittsburgh, hitting .295 and showing off his elite framing skills. Wilson was very good, with a 3.10 ERA and 9.7 K/9, but a good catcher is much more valuable than a good reliever. It’s only been a year and the Yankees weren’t ripped off, but it wasn’t one of Cashman’s finest works. >April 23rd, 2015: DEATH IS NEAR. WE HAVE GIVEN UP ALL HOPE. SHANE GREENE HAS A 0.39 ERA IN THREE STARTS AND IS THE NEXT JUSTIN VERLANDER. DIDI GREGORIOUS IS BATTING .200 AND HAS A 33 wRC+. HE’S A BUTCHER ON THE FIELD AND IN THE BASE PATHS. >October 1st, 2015: Cashman’s the best! We have the shortstop of the future in Didi Gregorious, who was worth 3.3 WAR last season. Even better, he had a .294 batting average and 109 wRC+ in the second half, so an improvement in 2016 isn’t out of the question. He’s also a great defender! We still miss Shane Greene, but we don’t miss his 6.88 ERA in Detroit. This trade was a downright steal! This was not exaggerated in any way and all Yankee fans can attest to that. Based on WAR totals alone, it might seem silly of me to proclaim this as another Cashman success, but upon a careful look it’s a great move for the Yankees. Martin Prado is still a solid infielder and a player that every team would love to have thanks to his flexibility. David Phelps is, well, David Phelps. He had a 4.50 ERA last season in 19 starts and as boring as Phelps is, he’ll find ways to remain on the big league roster. One reason why the Yankees’ return WAR is so low is due to Garrett Jones’ -0.6 mark in New York. Many thought his swing and power would fit nicely in Yankee stadium, but after just five home runs and a .215 batting average in 57 games, Jones was designated for assignment. He can be effectively scratched off this deal. Domingo German was a very solid pitching, but Tommy John surgery in Spring Training leaves his status up in the air. He could end up starting, but now it looks like German is more likely a reliever. That said, it wouldn’t be shocking to see German out-perform David Phelps if his stuff is back following the surgery. Finally, we get the big name of this deal: Nathan Eovaldi. ‘Evo’ had an up-and-down 2015 for the Yankees, struggling out of the gate but showing promise in the second half before falling to elbow inflammation in September. At his best, Eovaldi has the upside of an ace. His big time velocity and nasty splitter could make Eovaldi a special player. The Yankees will have to hope that his elbow holds up, but this trade looks like another great one for New York. Just like the Didi Gregorious trade, this deal was quite the emotional rollercoaster. It certainly hurt fans to lose the previously beloved Banuelos, who was only a couple years and a Tommy John surgery removed from being a top pitching prospect. Things were looking up for Banuelos to start last season, as he was finally healthy and had a 2.23 ERA in Triple-A. Injuries struck again, though, and his 5.13 ERA in the majors hasn’t been very encouraging. Back in New York, David Carpenter was never able to find success. After struggling through just 18.2 innings of 4.82 ERA ball, he was designated for assignment. Chasen Shreve saved this trade for the Yankees, with a 3.09 ERA last season in 58.1 innings. Shreve was hugely valuable to the team in the first half of the season, with a 2.02 ERA. He hit a wall in the latter part of the season, though, and had a 4.76 ERA after the All-Star Break. It depends on which pitcher shows up in 2016, but there’s optimism that Shreve can once again be an above-average relief pitcher for the team. Banuelos has some control over how this deal ends up looking, and there’s still hope that the 24-year-old can stay healthy and be a back-of-the-rotation starter. There’s plenty of baseball left to be played for these players, but it’s another solid trade by Cashman at the least. Overall, it’s clear that Brian Cashman’s track record in trades is overwhelmingly successful. Among the significant moves detailed here, only one of them looks like a ‘bad deal’ and the others seem to be at the very worst ‘fair.’ There’s time for the winners of each trade to switch, but these moves are great evidence of Cashman’s elite trading abilities. It’s important to be aware of Cashman’s success in this facet of running the Yankees, because it could very well be the only way the team stays afloat over the next couple of years. 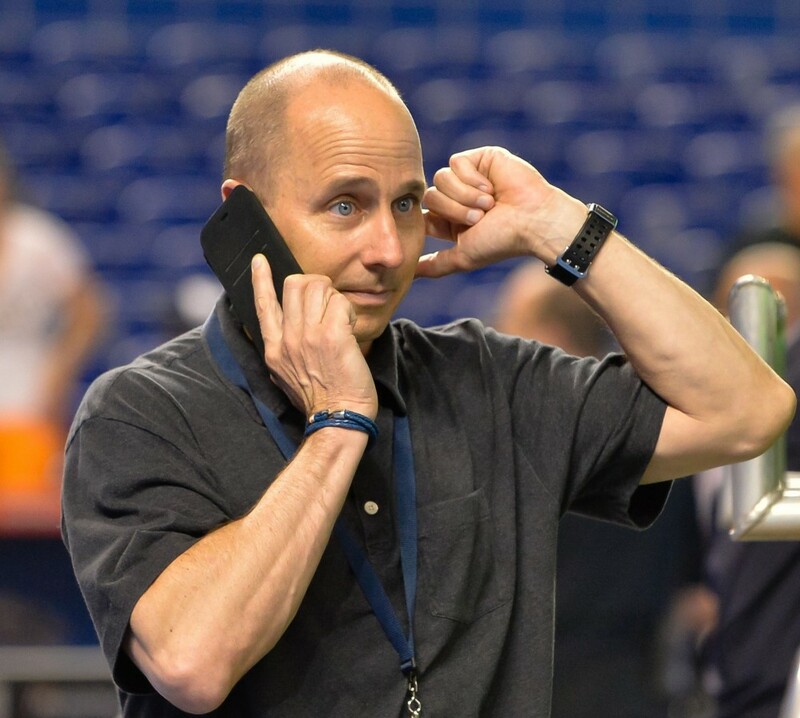 Given the lack of prosperous free agent classes until after the 2018 season and the Yankees’ newfound refusal to spend money, Cashman could be forced to rely on these deals to build up the roster. Shying away from free agents doesn’t sound fun, but based on Cashman’s past primarily focusing on trades may not be a bad strategy. Ben grew up in Connecticut as a Yankees fan. 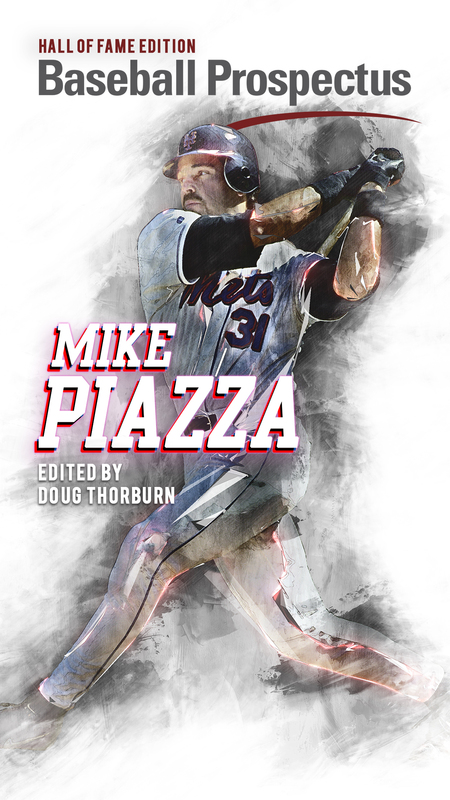 He currently writes about baseball -- fantasy and real life -- at Baseball Essential, BP Bronx, and The Dynasty Guru. You can follow Ben on Twitter at @_BenDiamond or email him at BenDiamondc at gmail.com. Which Yankee has the worst contract? You failed to mention the Castro acquisition which could turn out to be another solid trade by Cashman. I would have preferred using Gardner rather than Warren in that deal however. I chose to only breakdown trades from before this offseason, since it’s too early to pass judgement on them. I think it was a reasonable deal, as well. If you go back a bit farther, the Yankees ended up acquiring Lance Berkman in exchange for Mark Melancon and Jimmy Paredes. I don’t know what the post-trade WAR figures are, but they must be pretty unfavorable for the Yanks. That’s true, it’s certainly not one of his masterpieces. Berkman earned 3.6 WAR after being traded, while Melancon + Paredes came out to 5.2. I would have included that if I had gone two more years back, and it’s an interesting example. He’s not perfect, as I had said, but the track record is still overwhelmingly in his favor.